As we're about to get our first frost (4 days past the average date this year), it was time to start clearing out the garden. Collect the various supports and stands and start clearing out the weeds that have completely taken over in prep for the fall season. While most people would say that the gardening year starts in the spring, I feel the fall planting of garlic, shallots, and multiplier onions as the "beginning" of the new batch. The garlic crop that is going in between now and November 15th will be harvested in the early summer next year. Looking back at our pretty rough year, I'm pleasantly surprised with how much production we were able to get out of a half-planted, mostly ignored garden. Peppers: These went completely gangbusters and all the varieties seemed to do pretty well. The California Wonder and Ozark Giant both produced quite well, and the Cayenne, Tam Jalapeño, and Purple Jalapeño all produced good yields. We had some other experimental plantings that we will probably expand on next year (Paprika, Serrano, etc) into some of the more exotic peppers. I'm particularly interested in seeing if we can grow the baby peppers that they stuffed for our wedding hors d'overs. Tomatoes: I didn't get these off the ground fast enough, so our only real good production was from our cherry tomato plants, the Fox Cherry Tomato. I had such high hopes for the rest of our plants, but due to timing, they simply never got staked and then late blight (or something similar) took them all out. Tomatillos: Three plants of each green and purple produced a lot of fruit. We mostly grow these to make into Tomatillo salsa, and we got enough to make about 8 pints. Will probably do the same number of plants next year, but might add a variety. Corn: Didn't do well at all. Only a handful of ears that reached maturity, and many were only partially developed. Small patch of corn in the soggiest part of the garden probably didn't help much. Will be making a much larger patch in a better drained area next year. Potatoes:Got hit by the potato beetle, but we were able to treat for it and got a small but decent crop. Also going to plant a larger area next year. Beans: All did quite well, despite not getting bean towers built this year. We've harvested the bamboo and will have those ready to go by planting time next year. Two different long beans worked quite well. More bush beans and black eyed peas (cowpeas) will go in for certain. 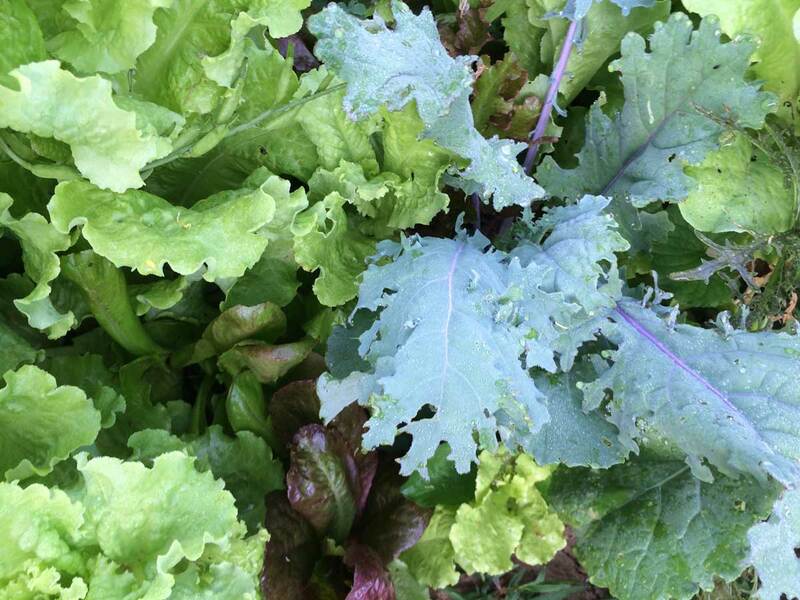 Greens: With the acidity in the soil, these did quite well. Going to space these out better next year to equal what we actually use as we go. Summer Squash: Went gangbusters for a few months and then died off. Will need to stagger plant this next year to get more continuous production throughout the season. Winter Squash: Planted this outside of the main garden area and it didn't grow much at all. Plants were small, barely set flowers, and generated no fruit. Probably a soil/ph issue in that area. Will try again in a new location next season. Sweet Potatoes: After an initial damage session by the groundhog, these have done quite well. Going to be digging them up next weekend, but a few tubers have found their way up and out and are well sized. We eat a lot of this, so we'll be growing it again next year. All in all, a good first year figuring out what works and what doesn't. More experiments next year!